The new boss proved an able negotiator, winning himself an outsize compensation and benefits package. They even bought him a mansion. But at his first and only party for employees, he roped off most of the interior and installed backyard porta-potties. He located his office in a separate building. And before long, his penchant for arriving at meetings late, leaving early and staying just long enough to pronounce his edicts became all too apparent. During his tenure, organizational morale and performance plummeted. In just 28 months, he was gone. Just as effective bosses can do considerable good for an organization, toxic ones can inflict a great deal of damage. By toxic, I don’t just mean incompetent – I mean malignant. Over the past few years, I have visited a number of universities, academic health centers and medical departments, collecting stories about toxic bosses along the way. Many of these places are still struggling to claw their way out of the holes a toxic leader dug for them. The story that opens this article is just one of many I have encountered on my travels. The first step to coping effectively with a toxic boss is recognizing that you have one. Here are 10 indicators that a new boss is probably toxic. Power becomes consolidated in the hands of a few people who report directly to the toxic boss. People who question this process are moved aside or completely out of the organization. In many cases, the toxic boss achieves these ends not by direct confrontation, but like a subtle poisoner, delivering the lethal dose in tiny amounts that build up over time. With a toxic boss, employees may have a hard time remembering why they came to work for the organization in the first place. The true mission of the organization is obscured. The toxic boss shifts everyone’s attention to crasser metrics, such as revenue and rankings, and the organization’s mission is treated as a mere tool for boosting results. The toxic boss in action. Another victim of the toxic boss. Soon after the toxic boss arrives, people begin disappearing. Almost invariably, such departures go unannounced, completely devoid of fanfare or explanation. One day they are there, and the next day they are gone, and only later do people learn that former colleagues were abruptly told one day to pack up their offices and hit the pavement. The toxic boss will never express gratitude to their service, publicly or personally. The toxic boss starts to act like a playground bully. People are treated not as sources of insight but as tools of implementation. When they diverge from this path, the toxic boss reminds them how easily they could be replaced. In short, the tools of persuasion give way to the instruments of coercion. 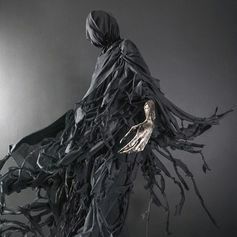 And such techniques are powerfully augmented by the enhanced sense of vulnerability that accompanies the swelling ranks of the disappeared. Do you feel like your every move is being watched by unseen eyes? Like you are in some kind of jail? Do you feel like your boss taking leadership lessons from Jeremy Bentham? 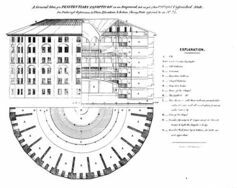 His creation, the Panopticon is a building with a watchman sitting at the center, looking out on all the inmates, who are arrayed around the periphery, each in a separate cell. The inmates cannot see the jailer, generating a sense of constant surveillance. Diagnosis: toxic boss. So what can you do? One employee advised, “It is best to react with honesty and courage. 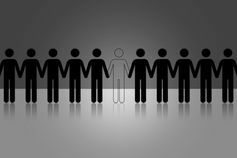 Just point out the toxic boss’s impact and advocate as well as you possibly can for a decisive change of course.” One temptation to scrupulously avoid is fighting poison with poison. Don’t use toxic tactics to combat toxicity. This not only smacks of hypocrisy, it also compounds the problem by corroding the organization’s culture even further. When this happens, toxic bosses win.